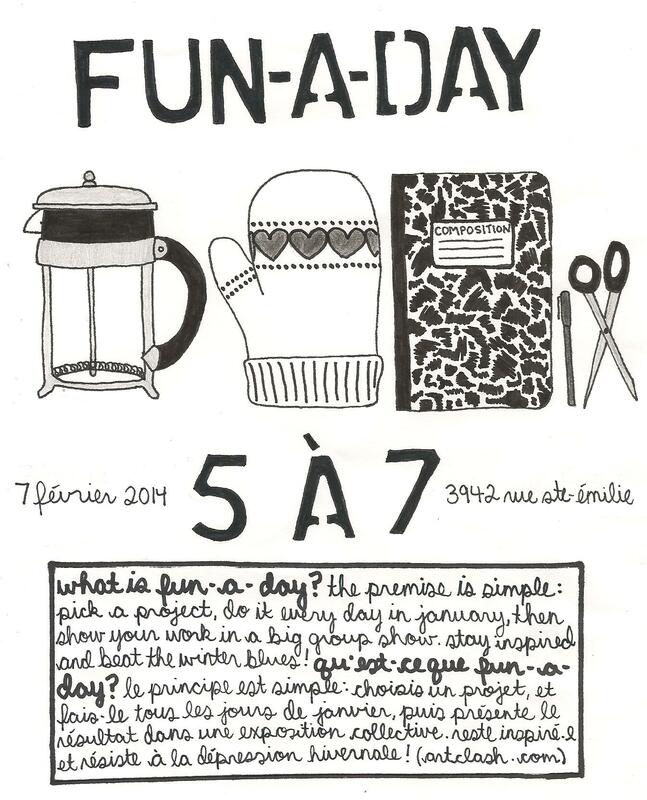 FEBRUARY: Order 5 Zines, Get 1 Free! SALE SALE SALE. For the month of February, for every FIVE zines that you order, you’ll get ONE for free. You can tell me what free one(s) you want, otherwise I’ll surprise you. Because I want you to get through the rest of the winter, and because I wanna send you some zines before Canada Post’s rates go up in March, and because I wanna round up some funds for new distro stock when I go to the Chicago Zine Fest. How To Order. Fight Boredom Distro News: I added some more zine descriptions today (one day I swear they will all be up), including Anarchism & Hope, Birthday Party #1, Sour Puss #10, and Tongueswell #1. Also, hey! I’ve been doing all kindsa non-zine things these days, too. One of them is co-organizing Fun-A-Day with a few friends. I wrote a bit about it here (and here last year!). We’re having a 5 à 7 this Friday if you wanna come hang out and eat snacks and look at art and maybe even display your own project.